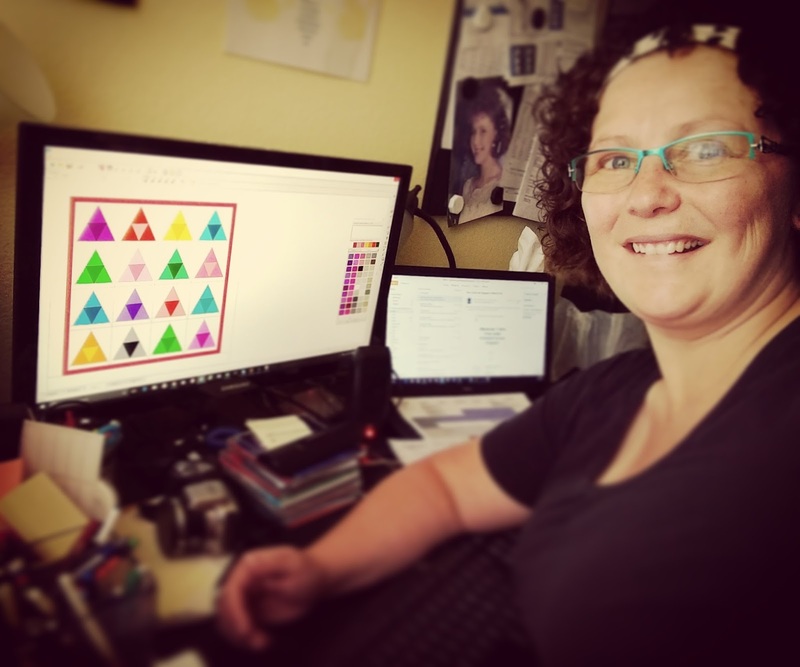 Adventurous Quilter: Pattern Design FUN! Sometimes when I am only home for a few hours between appointments I don't want to sew and get covered in threads. Those are perfect moments for pattern design :) This is a paper piecing pattern I designed recently and instantly fell in love with it! I call it Adventurously Ombre Triangle & it is available in my Craftsy store but will be in a future free BOM or QAL too. This is me that day in my happy place, yes my home office is bright yellow, it's a fantastic design space.